The Southern Partisan (SP) has been kept alive for years by a loyal readership and the faith, guidance and financial support given by Charles Scott Hamel. As we begin to rebuild SP as a tribute to his legacy, it is appropriate to take a moment to pause and look at the life of Mr. Hamel, a soft-spoken intellectual who left behind a lasting commitment to education. This article outlines the history of Mr. Hamel and SP, because one story cannot be told without the other. Charles Hamel on one of his many journeys around the world. Charles Scott Hamel passed away in 2010 at the age of 72 after an extended illness. At the time of his death he lived in Chapin, South Carolina, on the banks of Lake Murray. For nearly 30 years, Charles served as the publisher and principal benefactor of Southern Partisan magazine. Born in Arlington, Virginia, April 9, 1937, Charles was the son of the late Charles D. Hamel and Ethel Scott Hamel of Washington City, District of Columbia. Charles graduated from the prestigious Virginia Episcopal School in Lynchburg (class of 1956) and went on to earn his BA at the University of the South at Sewanee, Tennessee. Charles devoted much of his life to the study of the classics as well as the language and culture of ancient Greece and Rome. After his undergraduate work he studied at the University of Illinois at Champaign-Urbana under the tutelage of the renowned classicist Revilo P. Oliver. Mr. Hamel was later asked by the Intercollegiate Studies Institute to write the biographical entry on Dr. Oliver in the work American Conservatism: An Encyclopedia. After graduating from Illinois with a master’s degree in classics, Charles studied for a time at the University of Chicago. For years, he was an active member of the Philadelphia Society, which honored SP and Mr. Hamel in 2009. Before he helped launch SP, Mr. Hamel taught Latin at various college preparatory schools, including the Archibald Rutledge Academy in McClellanville, South Carolina. And he created a non-profit foundation called the Foundation for American Education (FAE), dedicated to the restoration of traditional standards in education. As an educator, Mr. Hamel came to the conclusion that modern classroom instruction in America was producing a generation of graduates with little or no grasp of the classics. In the 1970’s he decided to devote his time and finances to the goal of lifting the banner of classical education and teaching the basics of western civilization to a new generation. To that end, he launched the FAE, which he headed until his death,. Under his leadership, FAE produced such notable works as the re-publication of Lincoln the Man by American poet and scholar Edgar Lee Masters and a series of important books and monographs that otherwise might not be available to the public. Over the years, Charles never sought attention, publicity or credit for his good work. He preferred working quietly behind the scenes. Charles delighted in the accomplishment itself, always content to allow others to take credit and bask in the glory. Devoutly religious, Charles had many friends who loved and admired him. He hosted an annual barbecue at his Lake Murray home for friends, business associates, SP writers and congregants at Saint Jacob’s Lutheran Church, whose cemetery now serves as home for his mortal remains. Charles was also known for his love of travel, especially to remote and exotic places. He enjoyed tracing the reach and remains of antiquity in the modern world. His passport read like the outline of a spy novel with odd and faraway places like Yemen, Iran, Iraq, Yugoslavia, Libya and Romania. He would return from his travels with photographs and fascinating tales of local culture and strange experiences. Often, he would learn the rudiments of the country’s language before undertaking his journey. In later years he settled for safer and calmer trips to France and Germany. His last excursion was a boat tour up the Po, which he very much enjoyed. Charles was keenly aware of the decline and cheapening of American history and culture. For nearly a quarter-century, he served as publisher of the SP magazine, a journal dedicated to promoting the intellectual traditions of the Old South to a new generation. But exactly how was The Partisan born? The first issue of SP appeared in 1979 as the Southern Partisan Quarterly Review (“SPQR,” an allusion to the Latin phrase Senatus Populusque Romanus, or “the people and Senate of Rome”) edited by Clyde Wilson and Tom Fleming. In its nativity, the journal was machine-typed and photocopied, but included many notable thinkers and scholars. In addition to Dr. Wilson, Volume 1, Number 1 included articles by Russell Kirk, M. E. Bradford, and John Shelton Reed. In those first issues, Wilson and Fleming, with no staff and little money, struggled to move forward, publishing only two issues in the first 24 months. Getting issues out on schedule is a problem that has plagued the magazine from the beginning. When the first two issues were published, Charles was engaged in other pursuits. For a time, he had hoped FAE would be able to launch a college — which he planned to locate in Spartanburg, South Carolina — devoted to the best traditions of American scholarship as personified by the Southern Agrarians, and named for the giant of Southern letters, North Carolina’s Richard Weaver. Regrettably, Richard Weaver College, which would have been a hugely expensive endeavor, never came to be. If there were a Southern magazine, intelligently conducted and aimed specifically, under the doctrine of provincialism, at renewing a certain sort of sectional consciousness and drawing separate groups of Southern thought together, something might be done to save the South. Over the next three decades, SP has attempted to live up to that assessment, publishing at an irregular pace but still capable of outraging liberal media elites. With Charles as its publisher, SP evolved and, while it has never prospered in a financial sense, it’s reach and influence has grown. The subjects addressed have been extraordinarily complex and diverse, which has been the Hamel legacy. 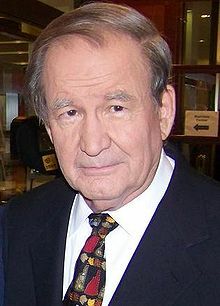 In 1984, for example, the magazine published Warren Leamon’s insightful analysis of the Leftist propaganda film, “The Day After,” shown widely on American television. That same issue included an exclusive Partisan Conversation with Arkady Shevchenko, the highest-ranking Soviet official ever to defect, and an essay by Aleksandr Solzhenitsyn, one of the great moral heroes of the last century. In another issue, the great Russell Kirk, whom we affectionately thought of as our Michigan Confederate, wrote a diagnosis of the political parties and concluded that some new party may soon be welcomed in Dixie, while economists William F. Campbell and Andrew W. Foshee searched for a “Third Way” between Soviet Communism and American Corporate Statism: all a quarter-century before the rise of the Tea Party. Patrick Buchannan, while he served as communications director in the Reagan White House, told SP contributor Rod Gragg in an interview that, “The South has had the distinction of being the upholder of traditional values….” And Pat would hold the distinction of being the only person ever interviewed twice in SP. Mr. Buchannan would also be the only significant national public figure to stand up for SP during the John Ashcroft nomination controversy, when SP was so unfairly attacked by Joe Biden and others (about which more in a moment). For his courage and advocacy, we shall always be grateful to Pat Buchaman. Perhaps SP’s single most labor-intensive issue was the special “Best Books” issue published in 1999. That issue was the culmination of a Homeric effort to survey, catalogue and publish a list of the “Best Books of All Time” and the “Best Southern Books of All Time” as selected by our editors, writers and contributors. That issue remains one of our most popular back issues and an important contribution to the Southern cause. SP has survived largely due to Mr. Hamel’s perseverance and generosity, and even made some new friends, but controversy seems always to follow the journal. Shortly after George Bush was inaugurated president, he nominated Missouri Senator John Ashcroft to be Attorney General of the United States. Opposition researchers for the Democrat-controlled Senate Judiciary Committee went looking for dirt and found on our pages what they hoped would be a fatal attack: that Ashcroft had said nice things abiut the Old South. Yikes! What’s this? A presidential cabinet nominee praising the patriotism of Jefferson Davis? The leftist media militia quickly grabbed their weapons to organize a firing squad. Then-Senator Joe Biden and the late Senator Teddy Kennedy launched a mighty attack. They demanded that Ashcroft repudiate that “racist” journal called Southern Partisan and beg forgiveness for his heretical remarks. Senator Ashcroft, to his credit, responded calmly and courageously. He said he would rather be falsely accused of racism than to falsely accuse others. He refused to repudiate us. And Alabama’s Senator Jeff Sessions entered our written defense in the Congressional Record. The Southern Partisan - Charles Hamel's legacy - will continue as a hybrid web-print publication. During this period we labored under a series of deliberately misleading and in some cases downright false articles written about us in different news outlets, most egregiously in Time and the New Republic. In an issue published the first quarter of 2001, we produced a special edition with an extensive explanation and refutation of the charges, literally line-by-line and lie-by-lie. For posterity, it is important to have a record of the truth. After all, that is ultimately the mission of our journal. The thirty year roller coaster ride that has been the history of Southern Partisan now leads us to our new plan for a hybrid journal, part on-line and part on paper. As we move into the future, no matter where the journey takes us, one thing is certain: whether print or electronic, this journal is the legacy of Charles Scott Hamel. Without his financial and moral support, without his persistence and sacrifice, it simply would not exist. Charles has now joined the company of our ancestors who have shaped the world of the living. For those of us who love this journal, he was a good friend and a powerful influence. He will be profoundly missed. And from his new perch, we shall continue to seek his approval and pray that what we do with his journal here below will honor his memory.